How to activate the Dark Mode on Twitter: the new update allows you to set the dark mode, here’s how to activate it and what changes. 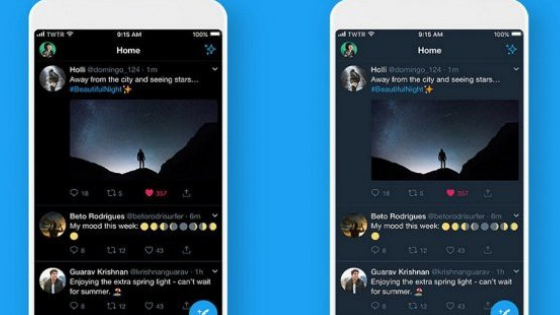 Twitter dresses in black and proposes a new Dark Mode that allows you to activate the dark mode and set the social network in night mode saving battery and preserving the view from the blinding white light emitted by mobile screens. The Dark Mode of Twitter changes mode and becomes more specific than in the past: the dark version of the popular social network dedicated to tweets and hashtags now definitely opts for the black color, activating a new option currently available only on iOS and soon coming on Android (where the old one is still present). Those who love to tweet in the evening, perhaps commenting on the events of the day or programs broadcast on TV, can now do so with a new dark mode designed specifically to meet the needs of users. Here’s how to activate Dark Mode on Twitter and what changes. To set the new Dark Mode on Twitter it is necessary to refer to the settings of your profile within the app (and not by clicking on the old moon icon, which allowed the color change in the old one). If you have an iPhone or an iPad with iOS 12 all you have to do is click on your profile and select “Settings and Privacy”. Going to “General” select “Display and Sound” and then click on the switch dedicated to Dark mode. What changes with respect to the past is the option to choose between “Luci Soffusa” and “Luci Spente”, by tapping on the latter you can get Twitter in total Dark mode, with tones oriented to black and not to blue as in the first (and previous) option. In this way it will be possible to fully benefit from the dark mode in its entirety, especially in smartphones equipped with OLED screens (which have total black and not backlit). Another function introduced by the new Dark Mode is the possibility to set the automatic activation of the dark mode according to the time of day. If during the day you want to use Twitter in its traditional white configuration, all you have to do is check the option, always included in the settings, called “Automatic dark mode“. In this way, the dark version of Twitter will be activated automatically in the evening and deactivated in the morning, without the need to deactivate or reactivate the option that, at the moment, does not yet have a dedicated shortcut key. While waiting for the debut also for the green robot, on Android you can still use the old Dark Mode until the next update.